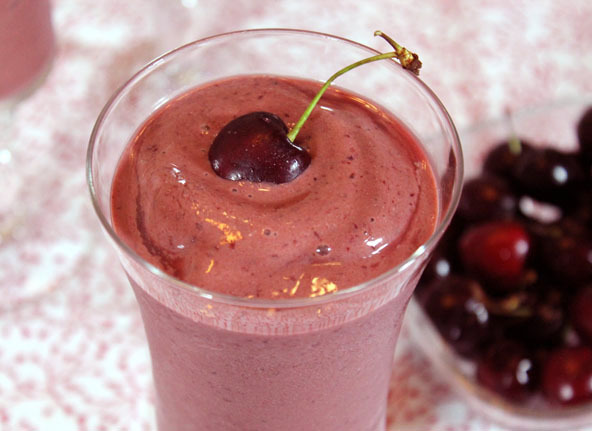 You’ve got to really love cherries for this recipe to work for you. 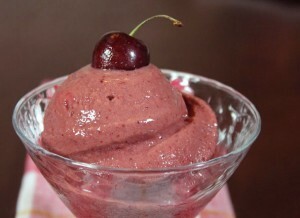 My favorite way to make this is with half cherries and half strawberries but that’s just me and my daughter. Strawberries are also cheaper so that helps as well. It’s the coconut milk that makes this a nice creamy non-dairy ice cream. I never use coconut milk from a can. I just don’t like it. 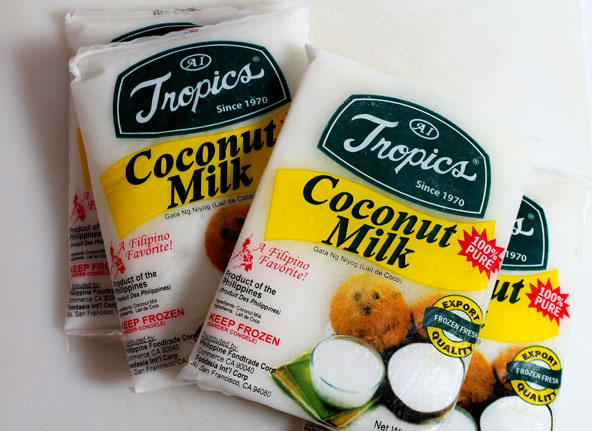 I purchase coconut milk freshly packed in bags found in the freezer section of our local Asian market. We stock up on fresh coconut milk because we use it in so many things! Love, love, love this stuff! If your Asian market doesn’t carry this product, request it! It sells really well at our market, so your Asian market should appreciate the selling tip. 1 cup of water or apple juice (optional– if you don’t have a high speed blender you will have to add a liquid. Its more like a soft serve ice-cream without the extra liquid. Thaw out the frozen, fresh coconut milk and put in the blender first. Add the remaining ingredients and blend everything together. If you do not have a high speed blender such as a Vita Mix or a Blentec blender, you will need to add a cup of liquid for it to mix well and you will have a great tasting smoothie instead. 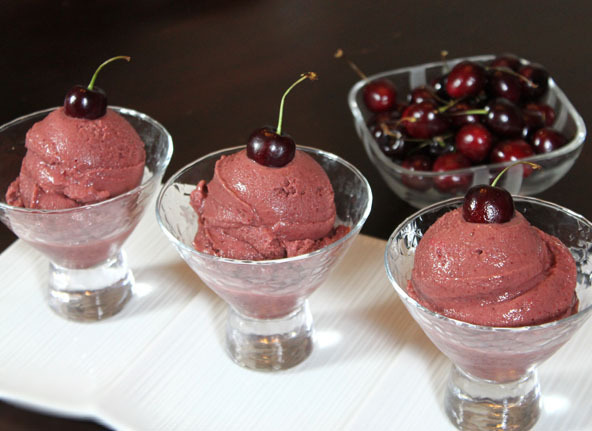 If you do use a high speed blender and still want it thicker, place the mixture in a tabletop Ice cream machine (like the cuisinart) and let it freeze harder.